When I was about fifteen years old, I woke up to hear a strange sound coming from the backyard. I went out to investigate, only to find a baby hawk, injured. It had fallen from the tree above and what appeared to be the bird’s mother was tending to it. I watched for a couple of seconds, but it became clear that she was just wasting everyone’s time. Sure enough, I looked up to see the mother hawk flying off. “Deadbeat!” I shouted, shaking my fist. I decided to nurse that hawk back to health, building him a tiny bed in my room and giving him the best care that I could. Eventually, it became clear that the hawk had no intention of returning to his former life. He became fat and lazy. Even my parents began to notice. “That hawk needs to get a job or get out of here,” they would say. “There, like that,” I would point at the TV, but the hawk just stared at me. Soon, the hawk became a burden, even to me. One evening, I was on the brink of my first kiss with Natasha Brinxler, when the hawk walked in with the ‘Top Gun’ film in his beak. “Aww! Aww!” he nodded his head towards the TV. “Get out of here!” I shouted, but it ended up being Natasha who left. A year had passed. I was now a junior in high school and the hawk was the furthest thing from my mind. I had rounded a corner in the courtyard at my school, when I crashed into a misplaced lunch cart. There was pudding everywhere. Luckily, my peers didn’t notice my clumsy move. “Aww!” a mocking shriek from high above echoed. I looked up to see a large bird circling above. I looked back down, everyone was now staring at me laughing. The incident had troubled me deeply, but I had no time to dwell on it. It was our big game that night and I needed to focus. It was the fourth quarter, with just 1:16 to go on the clock. We were down by six and the quarterback looked to me and threw the ball. I reached out my arms, only to watch the ball bounce off of my chest and onto the field. The entire crowd erupted into boos. Finally, the boos began to subside. Then, from high above, that mocking screech echoed again. “Aww!” I could see a winged figure in the moonlight. I couldn’t sleep that night. Those “Aww’s” had shaken me up. I desperately needed a confidence boost. I decided to try my luck again with Natasha Brinxler. “I don’t date guys who can’t convert 4th downs” she replied. “That’s not exactly what happened to me last night,” I tried to explain, but she just walked away. “Aww!” I heard that mocking shriek again. 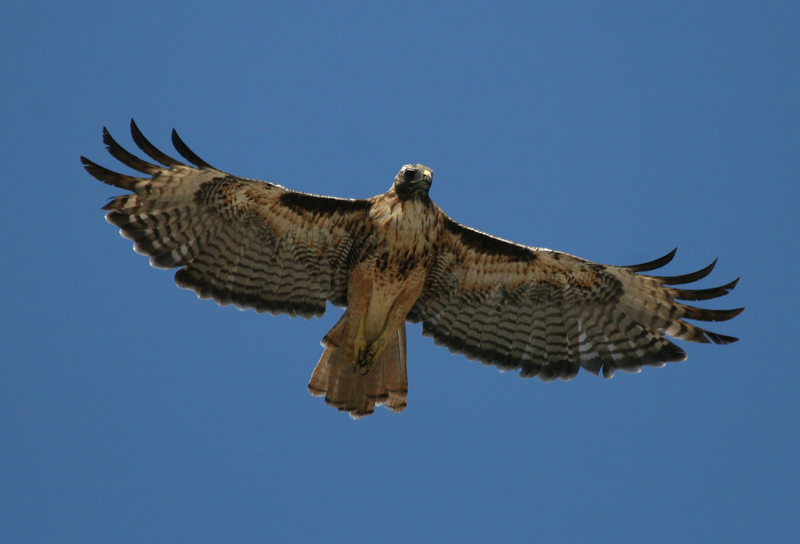 Throughout the next few years, that hawk followed me around, taunting me. I would wake up in the middle of the night to get a glass of water, and stumble slightly on the step on the way up. “Show yourself!” I would shout. Later, I was at a job interview and things seemed to be going well. I didn’t even have time to answer. I just walked out of the interview. I decided finally to seek revenge. I went out into the woods where the hawks hang out and placed the hawks nest so it was sitting right on the edge of a branch. 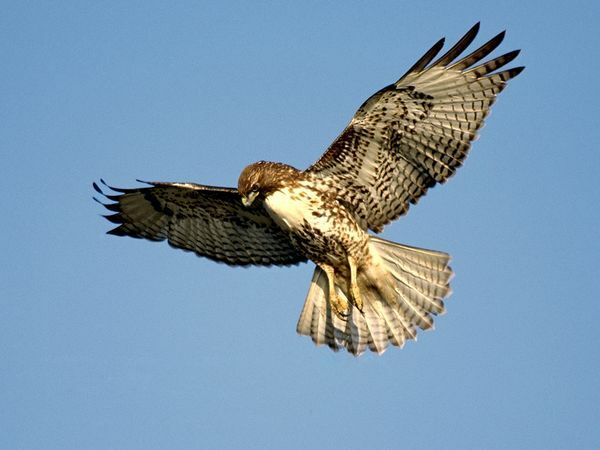 Later, when the hawk went to land, the nest slipped off and the hawk went tumbling to the ground. “Aww!” I shrieked, and pointed at the hawk. 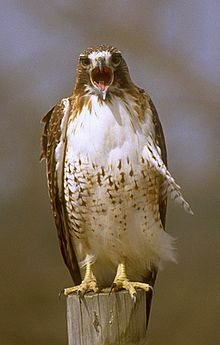 All of his hawk friends began ridiculing him. Or from what I could tell they were ridiculing him. Years later, I finally saw the hawk again, this time sitting at the other end of the bar. “Oh what the hell,” I said to myself and ordered him a shot. I slid the drink down the bar at him, only to notice, it wasn’t the hawk at all, but instead, an alcoholic midget in an Atlanta Hawks jersey. The glass went flying off of the edge of the bar and broke. Interesting read — I’m intrigued by the writing style. The beat is similar to a children’s book. It brought back a lot of good memories of being read to as a kid…Thank you! Thank you. And thank you for the comment. It brought back good memories of being written to as an adult. Tim, I heard you like to wear baby bird t-shirts. Twist ending! I have a feeling I am going to over think any bird encounters I may have today. It’s not overthinking. Studies find that a good 85% of all bird noises are made in ridicule of humans. lmao!!! Where does the truth end and the story begin?? ?